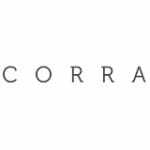 NEW YORK — Corra is pleased to announce an exciting promotion within the company’s leadership team. Rachel Weir, formerly the VP of Sales and Marketing, now takes on the role of Chief Client Officer, emphasizing the customer-focused mentality of the digital commerce agency. This move also marks Corra’s first female C-Level executive, reflecting Corra’s commitment to leading the charge for women in tech. As CCO, Weir’s initial initiative will be to lead the recently overhauled Client Relations team, with an unparalleled focus on real client success. Rather than basic account management, Corra’s Customer Success Managers will concentrate on the execution and quality of their services, as well as the measurable results of their clients’ businesses. Weir’s promotion to CCO additionally shows Corra’s commitment to enabling and elevating women into key leadership positions. According to the National Center for Women & Information Technology (NCWIT), women made up just 25% of tech positions in 2015. In comparison, Corra’s global team is comprised of 41% women, who also make up half of all positions at the Director level and above. This is attributed to inclusive hiring practices that focus on hiring the best candidate for any role, and a company culture that emphasizes work-life balance and a collaborative and supportive working environment.